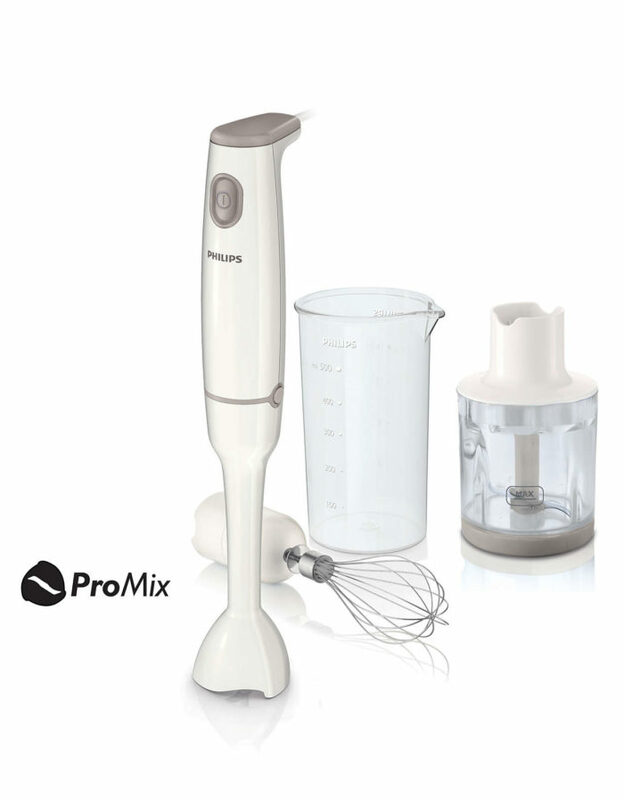 Philips Hand Blender HR1603 combines 550W power with a uniquely designed blending foot, chopper and whisk. Blends wonderfully smooth soups, chops herbs and whips cream. Preparing healthy food has never been so easy! Developed together with the prestigious Stutgart University, Philips ProMix is a unique, advanced technology that uses a specific triangular shape to create optimal food flow and maximum performance for faster and more consistent blending. 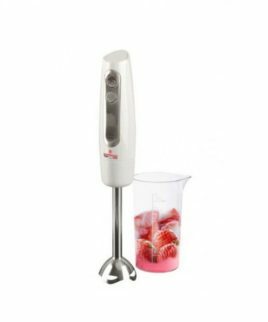 With the 2-button release system of the Philips handblender it is easy to remove the blending bar for easy cleaning. Single switch for easy use. 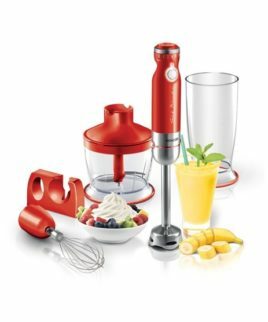 The Daily Collection Hand blender has a slim-grip to fit any hand. 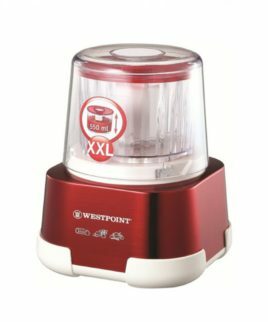 Strong 550 W motor for the toughest ingredients. 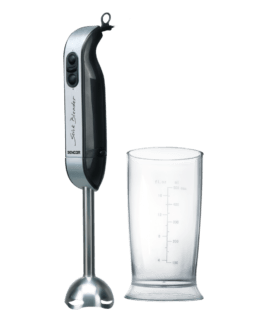 With the compact chopper accessory of the Philips hand blender you can chop herbs, nuts, cheese, chocolate and onions. 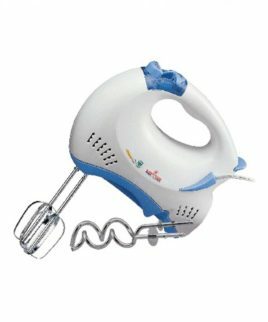 Single whisk accessory for Philips hand blender for whipping cream, mayonnaise, pan cake batter and more. 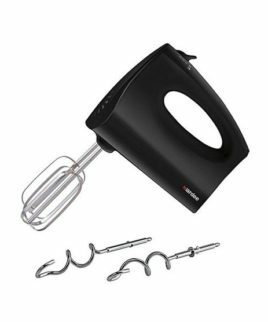 Makes your hand blender mutlifuctional and versatile.